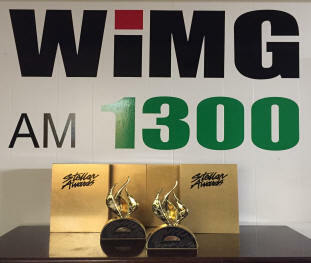 WiMG 1300 AM - Your Stellar Award Winning Station of the Year! John J. (Johnny) Morris was founder and chairman of Morris Broadcasting Company of New Jersey, Inc., the parent company of the three-time Stellar Award winning gospel radio station, WIMG 1300 AM. Raised in Torrington, Conn., Morris was always interested in broadcasting and worked at a Connecticut radio station while still in high school. He also worked in the control room of WNBC in New York before being drafted into the U.S. Army in 1954 and joining the Armed Forces Network (AFN). Morris was stationed at AFN’s studio in Heidelberg, Germany for two years. Following his military service, Morris was appointed as a civilian at AFN to cover special events and campaigns throughout Europe. 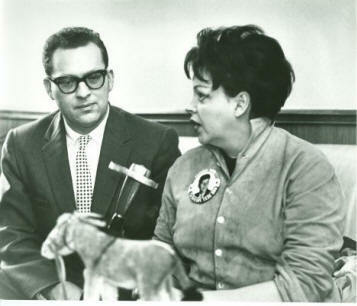 During his seven years as AFN’s director of special events, Morris conducted interviews and produced radio programs with some of the biggest names in entertainment and politics, including Richard Nixon, Lyndon Johnson, King Hussein bin Talal of Jordan, Bob Hope, Judy Garland, Jane Mansfield and Elvis Presley. 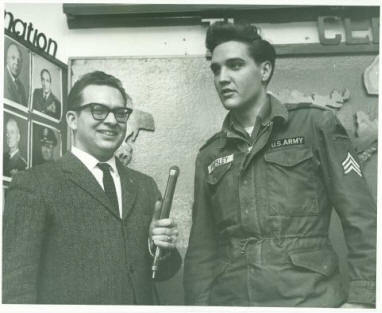 In addition, he joined two of Bob Hope’s famous USO tours with Les Brown and the Band of Renown. 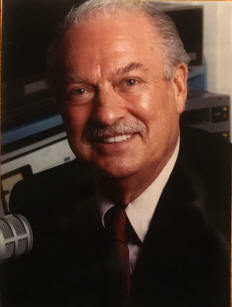 After nine years in Germany, Morris returned to the U.S. and in 1964 joined WHWH 1350 AM in Princeton as a sales manager. 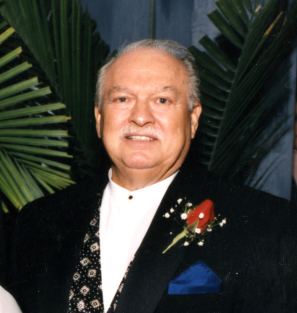 He played a key role growing sales, launching WPST 97.5 FM and developing the operation into Nassau Broadcasting Company, eventually becoming its president. 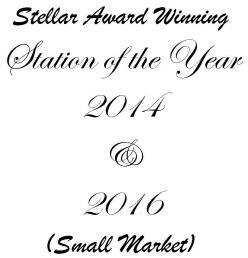 In 1993, Morris established Morris Broadcasting Company of New Jersey, Inc., and acquired the gospel station WIMG 1300 AM with his wife, the late Louise Easton Morris, and his children, Michael and Maggie. Morris transformed WIMG into a viable resource for the greater Trenton community through an urban gospel musical format, the broadcasting of spiritual ministries and local and national news and public affairs programming. Morris served on the boards of numerous local civic and philanthropic organizations, including Catholic Charities – Diocese of Trenton; Robert Wood Johnson University Hospital at Hamilton; New Jersey Broadcaster’s Association; Mercer County Chamber of Commerce; Boy Scouts of America – George Washington Council; Hamilton YMCA; Rider University; and the Trenton Kiwanis Club. He has contributed to many community-based initiatives in both the public and private sector, including the restoration of the Trenton Makes bridge and the Trenton War Memorial, the Mt. Carmel Guild Family Food Fund, the Delaware Valley United Way, the Hamilton Elks, the Hamilton Rotary, the Sons and Daughters of St. Patrick, the Metropolitan Trenton African American Chamber of Commerce and the American Heart Association. He has been honored by several business and civic associations throughout central New Jersey, including the Boy Scouts of America – George Washington Council’s Chairman’s Award (1998) and Distinguished Citizen’s Award (1992), the Salvation Army’s William Booth Award (1986), the Mercer County Chamber of Commerce Citizen of the Year (1983), and the Trenton Kiwanis Man of the Year (1976). He died on September 28, 2017 at the age of 91. In addition to Michael and Maggie, Morris is survived by two additional children, Melissa and Matthew, and four grandchildren. He was a resident of Hamilton Township.